Selling a home near Disney World in 2018 is a lot different than years ago, most everyone who is in the position of buying a 2nd home or an investment home near Disney is very online literate, usually they are the age of 35 and older. A large % of pool home owners in this sector are absentee owners who live in a different country such as England, Scotland, Ireland and the EU. These owners have a disadvantage when choosing a competent home agent representative or what we call in the US Realtors. Because these owners don't live in the area where they are trying to sell their home they choose a Realtor who may have an online presence conjured up by one of the big online property search engines. These Realtors pay an hefty advertising fee to be found on these property search engines who pays a hefty fee to be top on Google's for all property searches. The problem with these agents are they don't know the landscape of all areas they get promoted on. Jane and I do not subscribe to these search engines such as Zillow or Trulia or Yahoo Real Estate etc. for a number of reasons, one their valuation of properties are not accurate, they may be close to the median price based on algorithms but every home is different. f there is an apple and a banana in the same basket they are different, the same goes for 2 different houses in the same neighborhood. ( True fact, Jane and I are the leading Realtors in Kissimmee and Davenport near Disney but Zillow & Trulia will not recognize us as so because we won't pay them to even on our own listings we have, instead they put their subscriber Realtors as the contact person and area expert who we've never ever heard of because they are either new Realtors paying for leads or Realtors who pay for leads that work a totally different area. ) These sites are blatant liars who provide false information for profit and unfortunately absentee owners go that route. Another mistake Absentee owners make is listing their home to sell by convenience ( knowing someone in the area of the home who has a Real Estate license but doesn't practice it as a profession such as their property manager ), these are license holders, not Realtors and they have not invested into the tools they need to sell a home at the highest price or expediently or have the time to market a home effectively because again it is their part time job. Eventually what happens frustration sets in with these sellers because the home hasn't sold, the sellers simply drop the price so low it's so attractive to buyers anyone at that point could sell it. We've invested in selling our clients homes before they even contact us with online marketing and local marketing. When an owner is in town staying in their home they should look around during their Disney area travels, if they did they will see Jane & Alan LaFrance's / MickeyHomes.com Billboards, shopping cart signage, bus adverts and see our van and trailer wrapped with our advertising on it to get those potential buyers who are in town to look at our website for a home. That same van and trailer are filled with tools we leave for the day or 2 with our owners for free so they can fix up or maintain their homes without having to buy tools they may only use once and have no place to store them because their garage may now be a games room. 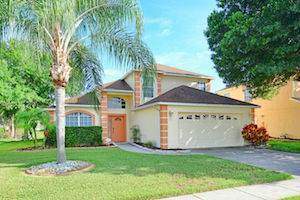 Emerald Island Kissimmee Realtors - There are wonderful pool homes being sold fully furnished and equipped for under $300k located in a popular gated resorts near Disney that is guard gated during the Day. The community has a magnificent club house with a huge swimming pool, fitness center, media room and lounges with a tranquil setting for just plain relaxing. Emerald Island Homes for sale range from 3 bedroom 2 bath pool homes up to 8 bedroom 5 bathroom pool homes. Price ranges are from the low $200s into the low $400s being sold fully furnished and equipped. Feel free to contact Jane or Alan LaFrance to get the details on how short term rental near Disney World works. Regal Oaks at Old Town, Kissimmee - Announcing a price reduction on 2710 Camaro Drive, a 1,852 sq. ft., 3 bath, 4 bdrm townhouse. Now MLS $199,900 - Great price for a 4 bed. Windsor Palms, Kissimmee - Announcing a price reduction on 2220 Wyndham Palms Way, a 1,567 sq. ft., 2 bath, 4 bdrm single story. Now SALE PENDING $245,000 - Just Listed, a Gem to see. Country Club Addition to Casselberry, Casselberry - The single story at 370 S Triplet Lake Drive has been sold. 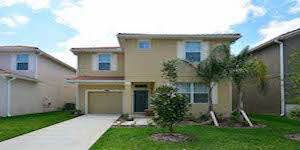 Veranda Palms, Kissimmee - Announcing a rent/lease reduction on Maleficent's Other Beauty, a 4 bath, 5 bdrm 2 story "Pool and Spa home". Now $210.00 Daily - Great Nightly Rate. 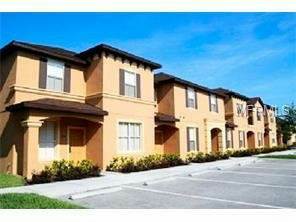 Wyndham Palms, Kissimmee - This is a Vacation Rental only, from $272 a Night. 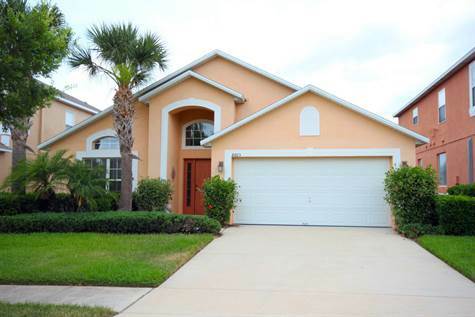 Welcome to this beautiful, 5 Bedroom / 3 Bathroom Rental Home. Sleeps up to 10 people and is located in the tranquil surroundings of the prestigious gated community of Emerald Island Resort - 2 miles from Disney World (about 5 minutes). This quality designed, 5 bedrooms all on one level villa is set perfectly located for visiting the attractions. Picture yourself relaxing poolside after a fun-filled day visiting one of the many wonderful attractions close by. Fully equipped games room with pool table, Air Hockey, foosball, Wii & Flatscreen TV. HD Cable, Free High Speed Wireless Broadband Internet and free local/long distance Phone calls..
24 hour guard gated community. Attractively designed formal dining area with seating for 8. From the moment you open the door you will have the luxury and serenity you deserve on your vacation. Wyndham Palms, Kissimmee - Announcing a rent/lease reduction on Nemo's Nook, a 1,940 sq. ft., 3 bath, 5 bdrm single story. 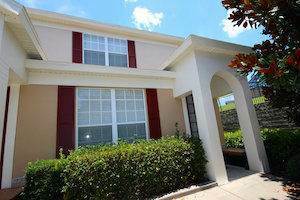 Now $170.00 Daily - Disney Rental Home. Windsor Palms, Kissimmee - Announcing a rent/lease reduction on Sunset Palm, a 2,400 sq. ft., 3 bath, 6 bdrm 2 story "Newly renovated". 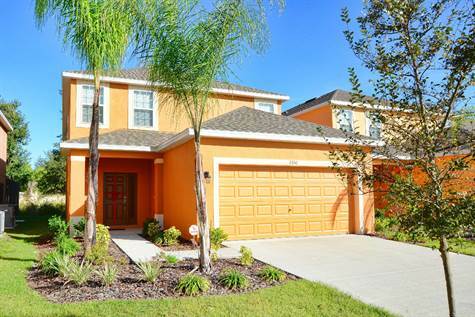 Now $180.00 Daily - Disney Rental Home.